Coopers Driving School are a top rated driving school covering Redditch and throughout Worcestershire. We provide high quality driving instruction in a relaxed environment and will help you to get through your driving test quickly, safely and first time. Our popular intensive driving courses are ideal for pupils who prefer to pass in a shorter space of time. We also offer refresherdriving courses for people who are interested in improving their driving, off road driving lessons for the under 17's. We also offer lessons in both manual and automatic cars. Please click on this link to see all the pupils that have passed with us so far in 2011, or why not have a look at some of the recent testimonials our driving instructors have received. 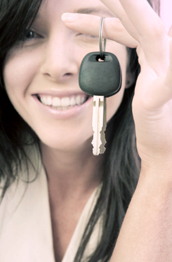 have a little driving experience and have the time available to learn intensively. Many pupils prefer to take an intensive driving course, followed with the driving test at the end. We are proud to be one of the few driving schools in Worcester and the West-Midlands to offer this service, and we will tailor the course to meet your needs. Because Coopers is a driving school run by instructors, you save money on your lessons too. Naturally, each of our driving instructors are DSA registered and may also offer pass plus. Which ever driving school you use, always check your driving instructor is displaying a pink or green DVSA badge. Whether you have a query you would like to discuss or you're just keen to get started, contact us and we will help to get you on the road. We have both male and female driving instructors in Worcester, Worcestershire, Gloucestershire and Herefordshire including Worcester, Gloucester, Hereford, Droitwich, Cheltenham, Malvern, Evesham, Pershore, Bromsgrove, Redditch, Kidderminster, Stourport, Bewdley, Bromyard & Tewkesbury.